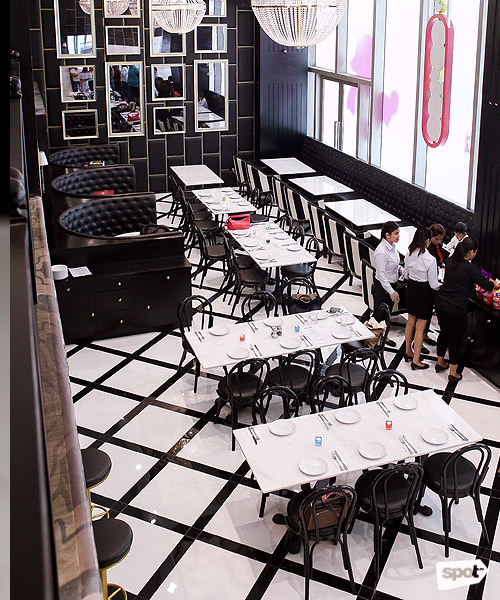 All set to take you on a sugar high, the American brasserie and retail store finally comes to Manila! 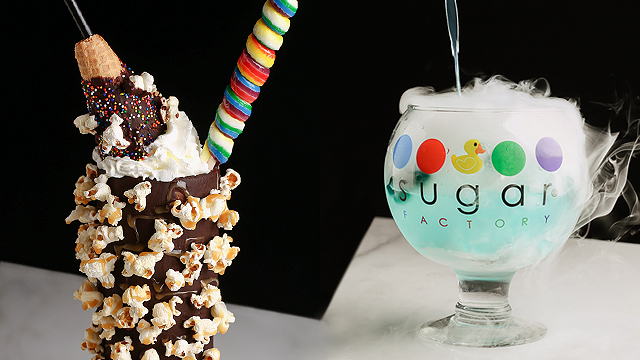 (SPOT.ph) Sugar Factory makes it their mission to serve children, adults, and kids at heart. Step inside and you’ll instantly feel like you’ve entered the clubbed-up version of Willy Wonka’s chocolate factory. 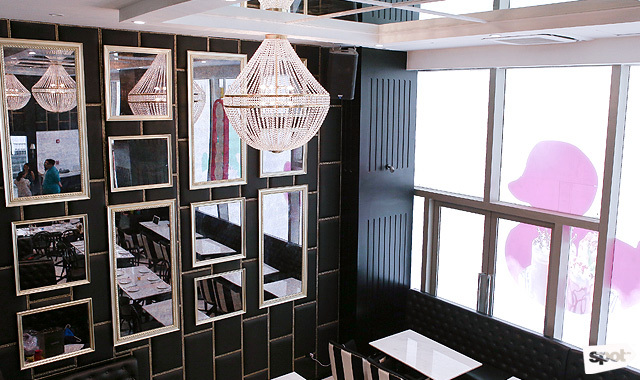 The two-storey restaurant features black-and-white decor, plush booths, gold fixtures, and high ceilings—all coming together to create an opulent space that’s classic yet appealing to both young and old. Originating from Las Vegas and emerging in cosmopolitan cities throughout the world such as New York and Dubai, this popular candy store and restaurant now finds its way to the Philippines with the help of Fergus and Nina Lao, April Pascual, Roman Mojica, and Chrizette Gutierrez. Start your day right with an order of the Pancake Stack (P380). 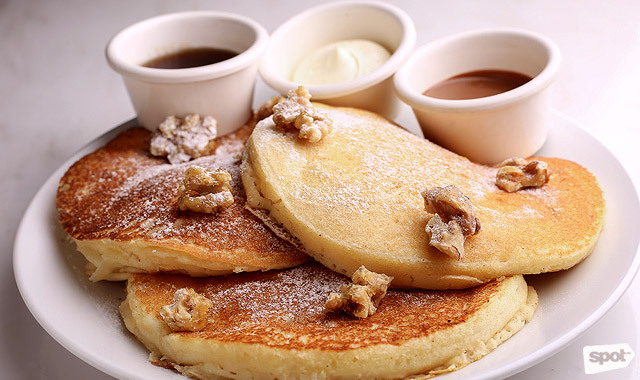 Served fresh off the grill, three fluffy buttermilk pancakes are generously topped with candied walnuts and dusted with powdered sugar. Eat them bare or slathered with your choice of whipped butter, maple syrup, or chocolate syrup. 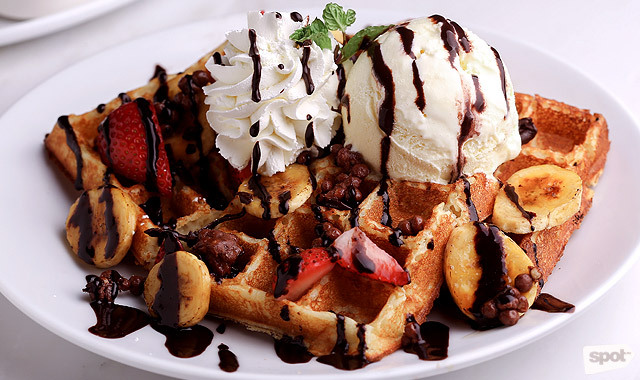 An abundance of fresh banana and strawberry slices, melted chocolate sauce, crunchy chocolate hazelnut balls, and vanilla ice cream top the chewy Banana-Split Waffles (P420). 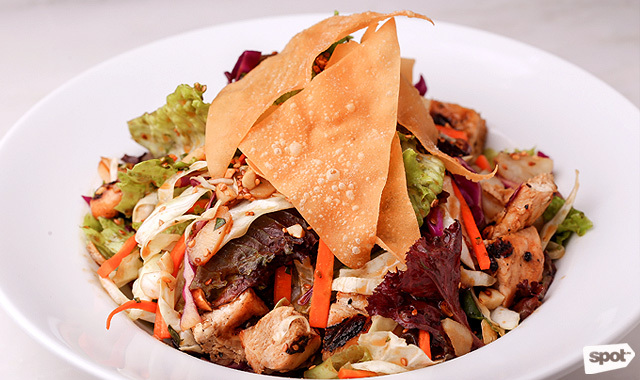 Go for light and healthy with the Chinese Chicken Salad (P440). The crispy wonton triangles, roasted peanuts, and toasted sesame seeds give the mixed greens a delightful crunch! No use trying to hold this monster burger with just one hand! 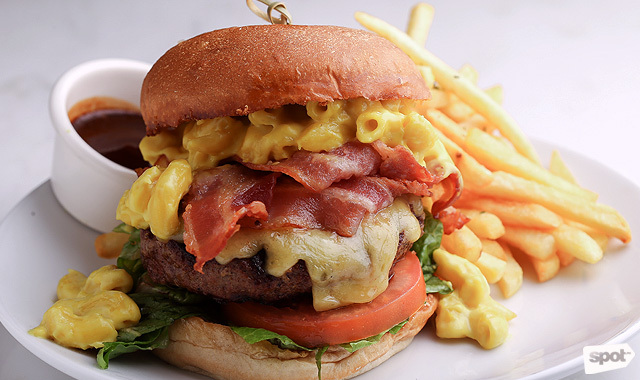 Aside from the usual cheese, tomatoes, and lettuce, this hefty Big Cheesy Burger (P495) contains tasty bacon strips and a surprising slab of creamy Mac and Cheese within a buttery brioche bun. 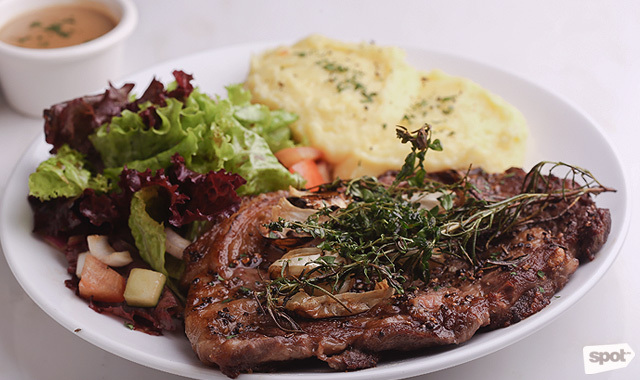 You won’t regret ordering the Black Angus Prime Ribeye (P2,250), an 8-ounce, melts-in-your-mouth, pepper-rubbed steak with red wine sauce served with yukon gold mashed potatoes and fresh salad on the side. The Dulce de Leche Milkshake (P830) is not called an “insane milkshake” for nothing! 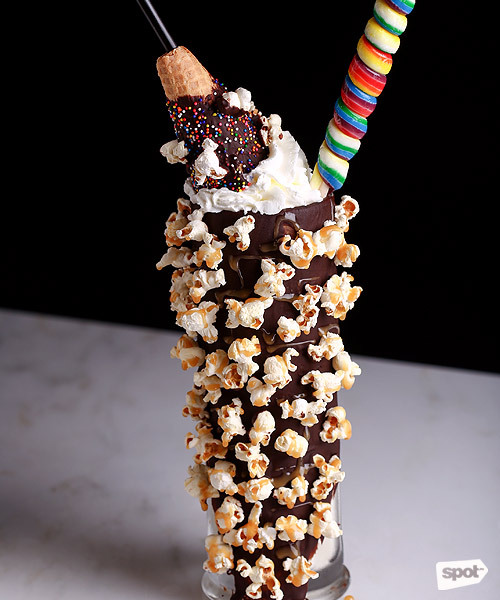 Totally Instagram-worthy, this milkshake made up of vanilla ice cream and Dulce de Leche syrup goes for the win with an overload of rainbow-colored embellishments: unicorn lollipop, chocolate-dipped and sprinkled cone, and caramel popcorn magically stuck to the side of the giant mug! 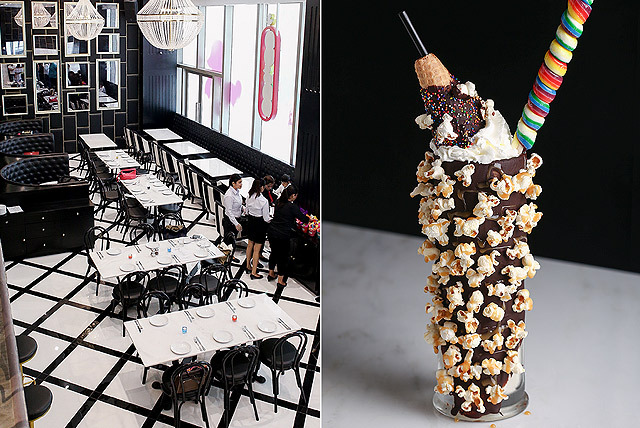 From oversized goblets to chocolate-flavored martinis, Sugar Factory’s signature drinks can be consumed with or without alcohol. 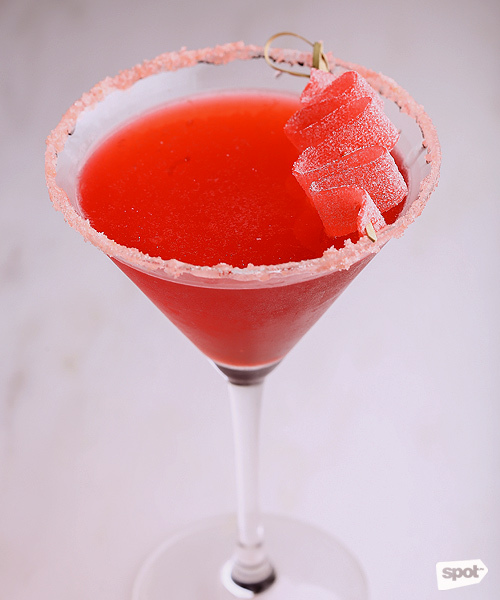 Be transported to an island getaway with just a sip of the Lollipop Passion (P1,600; P1,300 without alcohol). Found in one giant goblet, this tropical drink is a blend of melon, coconut, pineapple, and 12 shots of alcohol. Two unicorn lollipops add sweetness to the mix. 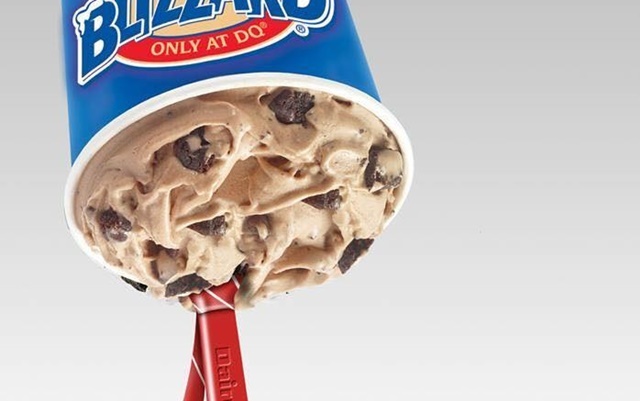 Definitely perfect for sharing! Called Hubba Bubba Gum (P320; P200 without alcohol), this cocktail pays tribute to the addicting bubble-tape treat we all devoured as children. The sweet yet tangy strawberry flavor will make you feel like you're drinking a liquid version of your favorite candy! Pretend to go camping with a glass of S’mores (P380; P240 without alcohol). 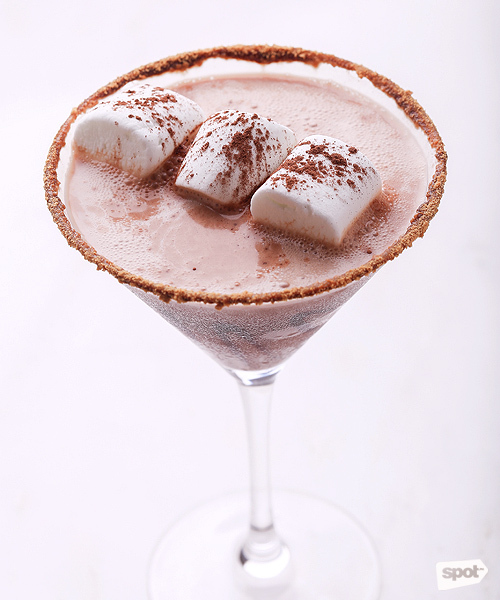 The decadent chocolate martini blends well with the graham cracker rim and the chocolate dusted marshmallows. 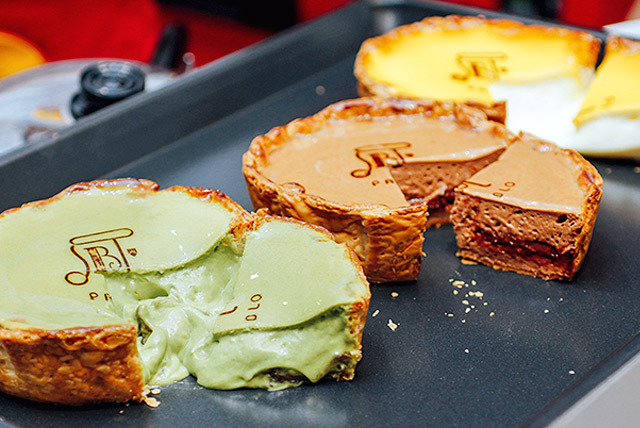 If you still have space for dessert, share a slice of any of their dense, layered Chocolate (P425) or Red Velvet (P480) cakes. 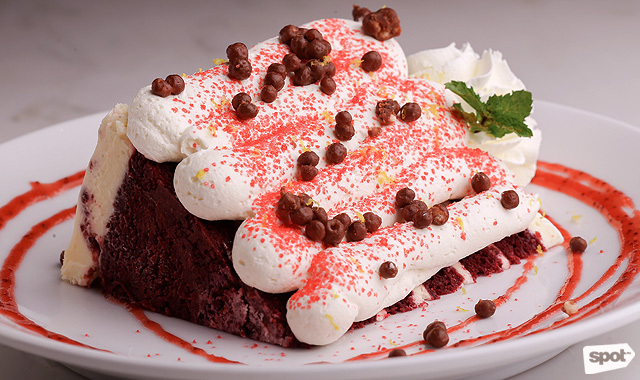 The latter will surprise you with its heavenly cream cheese icing, chocolate hazelnut bits, and raspberry sauce! For people who need their daily dose of sugary confections, one special section of the restaurant is devoted to selling candies of every type, shape, and color! Sugar Factory’s most popular creation is the celebrity-endorsed Couture Pops—a sweet yet chic accessory that allows you to pick a lollipop casing (refill it with countless flavors!) and pair it with a bejeweled handle. Singer Britney Spears and sisters Kylie and Kendall Jenner are just some of the stars who have blinged-out lollies under their stylish belts! But we hear that giant gummi bears, palm-sized Gobstoppers, extra-long gummi snakes, and even retro '80s treats will also make colorful appearances in the candy store’s transparent dispensers. As their greeters would say, "Have a sweet day!" 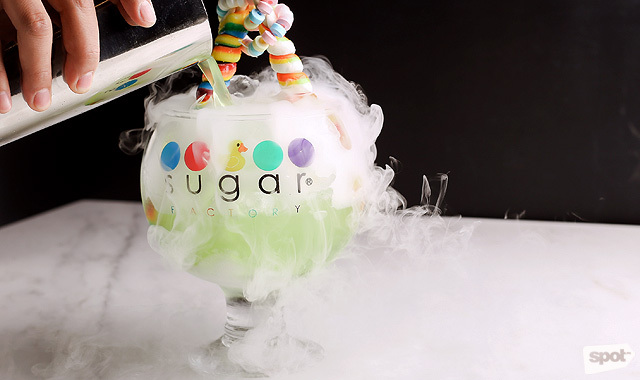 Sugar Factory opens its doors on Monday, September 19.